A couple of months back I met a friend for a long overdue catch up and had zero ideas where to go to eat and drink. We were walking around for a while and came across a Belgo. For those of you not already acquainted, Belgo is a Belgium inspired bar and eaterie, which specialises in Belgium beers and moules frites. But not just any moules frites. 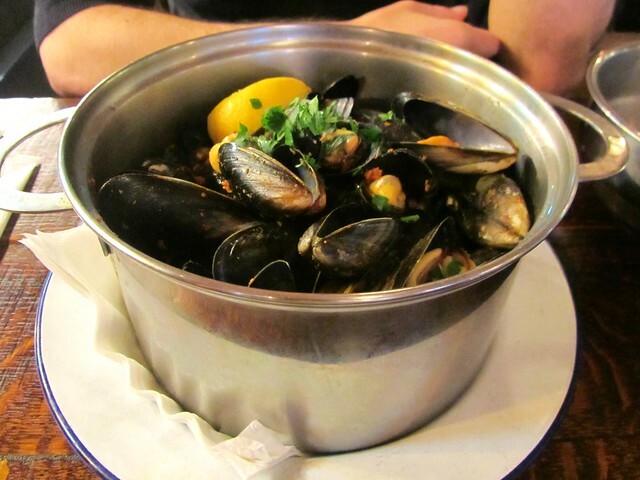 With options including Thai green curry, BBQ and chipotle, these are mussels with a difference. 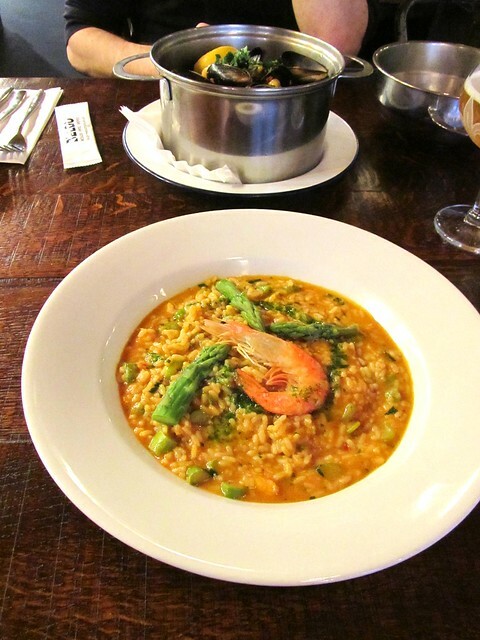 On that occasion I had a risotto and I usually find these very heavy, filling dishes with not nearly enough flavour... but Belgo's king prawn risotto was a revelation. 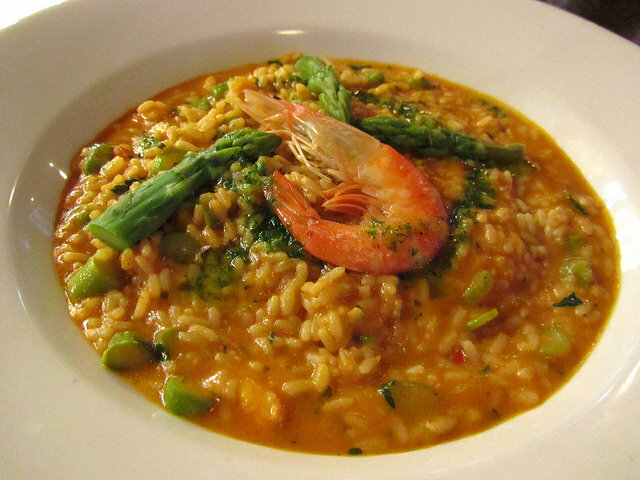 It was hands down the best risotto I have ever had. 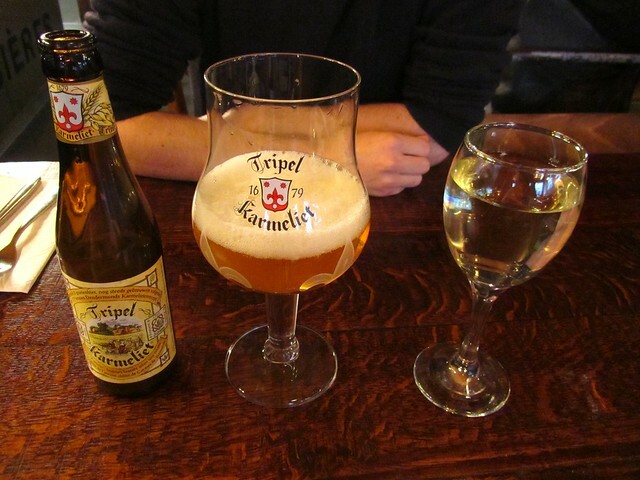 I was so impressed with my first visit to Belgo, I went back again one Friday to a different branch to indulge in more Belgium beverages. Oh and the same risotto. Which was equally good second time around. 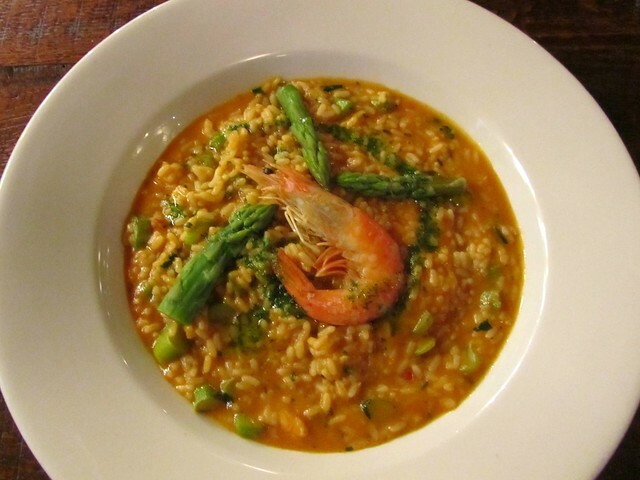 The risotto in question is their king prawn and asparagus risotto cooked in champagne, brandy butter and lobster bisque. A very luxurious dish which although rich sounding, isn't at all. It being the first risotto where I can easily clear my plate and not have to surrender early on account of being full. The real MVP of the meal however were the moules frites. Whilst I can deal with a few mussels in paella, I'm not a huge fan of them as they are a little too fishy for me... I would never order a pot of them by themselves. However that Friday I tried the Belgo ones and I was converted. The ones I tried were meaty rather than fishy and were consistently good - you didn't get bored after a set amount of time. The ones I tried were the chorizo ones which were infused with the lovely paprika oil and had a dusting / sprinkling of parsley. Straight away I knew what I'd be ordering on my next visit! The drinks menu at Belgo is a daunting thing. With so many beers on offer, it's difficult to know where to start! The Tripel Karmeliet was a good choice and came in the most awesome glass with a fleur de lis at the base. Their wine was equally good too! Have you ever been to Belgo?